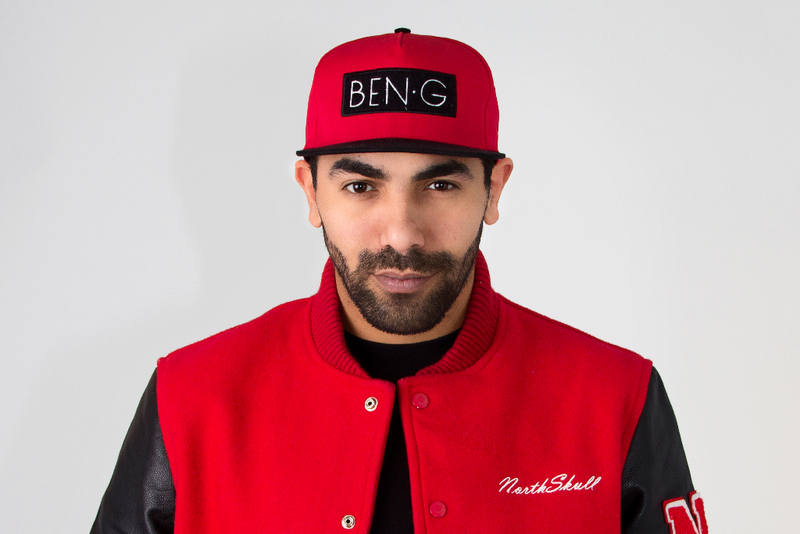 Sjaak (real name: Mehdi Chafi, September 24, 1985) is a Moroccan rapper from Amsterdam East who has been blowing up the underground with his streetwise raps, while simultaneously hitting the big time thanks to collaborations with The Opposites and The Partysquad. Spitting out hilarious punchlines in his idiosyncratic voice, Sjaak’s inimitable flow and charisma have yielded a style which can really rapture rap fans. Sjaak becomes a household name in the summer of 2007 when he appears on ‘Ik Heb Schijt‘ by Appa. The video proves a big success, with over five million views on YouTube. The success story continues with the release of ‘Stuk‘, a big hit for The Partysquad. In the year that follows, Sjaak releases his EP ‘Sjaakmat‘, while still guesting on numerous other tracks, notably ‘Dubbel O‘ by Yes-R, ‘Baas‘ by Ali B and ‘Leven van du Faam‘ by Kempi. In 2010, he performs a cameo on the second Top Notch single by DJ Promo: ‘Miami Vice‘ ft. Sef & Sjaak and appears on The Opposites monster hit ‘Duif op de Dam‘ ft. Burgs, Sjaak &amp; Kleine Viezerik. In the meantime, Sjaak has closed a record deal with Top Notch, the singles ‘Wat Is Er! ?‘ (with Appa) and ‘Krokobil‘ (with Yellow Claw & Mr. Polska) already demonstrating their amazing hit potential. Sjaak is also putting the finishing touches to his debut album, on which he collaborates with an amazingly talented line-up from the world of Dutch rap, including Faberyayo, Willie Wartaal, Hydroboyz, Big2 and Willem of The Opposites, Jayh, Reverse, Kleine Viezerik, SABeats, The Partysquad, DJ Apster, Gregor Salto and Appa. In 2012, Sjaak is featured on The Opposites’ ‘Hef – Drink Van Me‘. He also produces a version of Chillouh’s ‘In My Space‘, together with Naffer & Mocromaniac. The bonus track ‘Hasselhoff‘ ft. Wantigga & Dennis Brugman is accompanied by an online video that generates great enthusiasm (including a FunX Award). In 2013, he appears on The Partysquad single ‘Helemaal Naar De Klote‘ ft. Sjaak & Jayh and the ‘Boeke Remix’. In the run up to the Strijder Systeem album, Sjaak also releases the ‘Loco Mexicano’ mixtape and the summer blockbuster ‘Weekend‘. Early 2016 sees the release of the track ‘Alleen, a collaboration with Giocatori, Lil Kleine and Ronnie Flex. Sjaak can be booked exclusively at Epic Times Agency. Contact us for a non-binding inquiry or booking! © Epic Times Agency. All rights reserved.